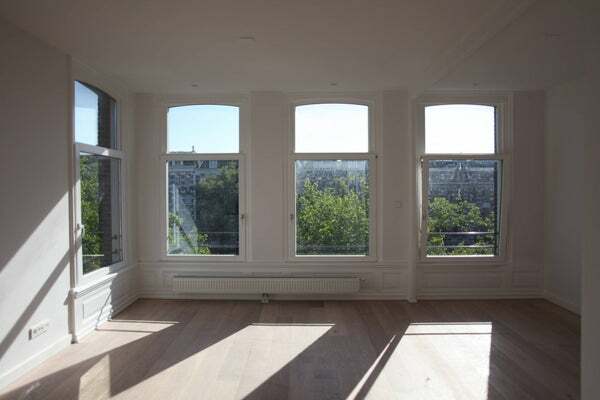 This is a very light and newly renovated luxury apartment, with awesome canal views. There is a good sized L-shape living room with open kitchen and a guest toilet. There are 4 large windows that bring in a lot of light and offer a great view of the canal in front. The living gives access to a guest toilet and the bedroom that is located in the back. The bedroom has two large windows and a spacious bathroom with a shower. The apartment is finished to the highest standards and has thick double glazing throughout as well as a new CV-system for heating and hot water.